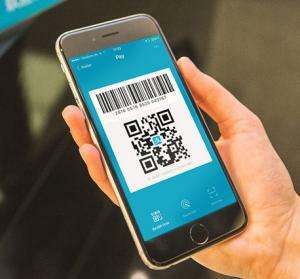 Alipay North America Chief Insists Company has No Plans for U.S.-Based Wallet | NFC Times – Near Field Communication and all contactless technology. Alipay plans to greatly expand its acceptance footprint in the U.S., targeted at Chinese tourists who use the Alipay Wallet in China. The head of Alipay North America insists the payments company has no plans to introduce a U.S.-based mobile wallet. China UnionPay Seeks to Bolster Use of Brand for Mobile Payments Overseas; Will It Make a Difference? NFC TIMES Exclusive – Alipay has no plans today to introduce a mobile wallet in the U.S., and is instead expanding its merchant acceptance footprint in the U.S. only to serve Chinese visitors, Souheil Badran, president of Alipay North America, told NFC Times. Whether those plans change remains to be seen, but Badran, speaking to NFC Times about Alipay’s latest deal with large U.S. processor and acquirer First Data to accept payments from its QR code-based mobile wallet, contends there are already enough wallets in the U.S. The Chinese payments provider, part of Ant Financial Services Group, an affiliate of e-commerce giant Alibaba Group, is building its presence at the physical point of sale in the U.S. for the 4 million-plus Chinese tourists and business travelers who visit the U.S. every year and millions more Chinese visitors to other countries, he said. Article has about 1370 words.